Judge Lucy Koh has lifted a preliminary injunction on the Samsung Galaxy Tab 10.1, reports The Verge. Following a jury verdict that found Samsung did not infringe on Apple patents with its Galaxy Tab 10.1, the company has tried to have a ban on the device lifted. The ban was originally put in place by Judge Koh and was upheld by the appeals court. 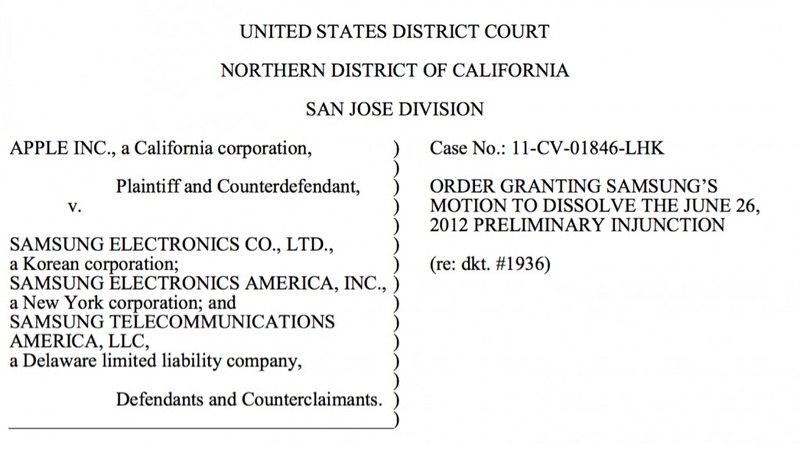 Judge Koh stated in a September filing that she would dissolve the injunction if allowed -- but since Samsung had already appealed the preliminary injunction the matter was out of her jurisdiction. This past Friday the Federal US Circuit Court of Appeals kicked the case back down to Koh, opening the door to today's decision. Koh also stated that the court will be holding on to the $2.6 million bond Apple posted for the injunction until all post-trial matters are wrapped up.